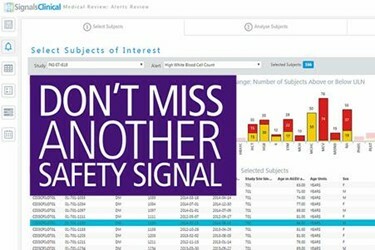 See our exciting new solution for medical monitors, PerkinElmer Signals™ Medical Review which empowers clinical development teams and medical monitors to detect safety signals faster and reduce time to submission by combining innovative medical review workflow with advanced analytics. 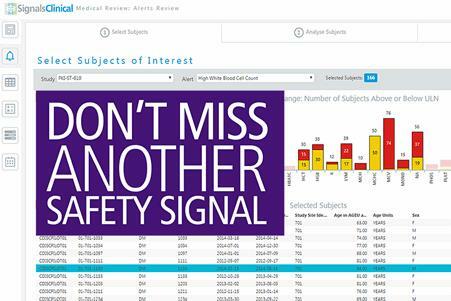 Today’s medical monitors require visibility across data sources and CDISC domains and access to dynamic analyses, but clinical safety data can be difficult to navigate even with these capabilities. The specific needs of medical monitors performing in-stream safety review remind us that all data challenges are not created equal. Medical monitors can’t afford to hunt for specific subjects of interest, rely on manual tracking of the line listing review process, or invest the time to apply generic analytics capabilities to their day-to-day tasks. To quickly find and act on data insights, medical monitors require intuitive role-specific workflows for a curated analytics experience.